Kick off your visit on the 12th (Mon): take in nature's colorful creations at National Botanic Gardens, stroll through Phoenix Park, and then contemplate the long history of Kilmainham Gaol. Get ready for a full day of sightseeing on the next day: catch a live event at Croke Park Stadium Tour & GAA Museum, then take in the architecture and design of Trinity College Dublin, and then tour the pleasant surroundings at St. Stephen's Green. To see other places to visit, traveler tips, where to stay, and more tourist information, read our Dublin online itinerary creator. If you are flying in from Italy, the closest major airport is Dublin Airport. Expect a daytime high around 19°C in September, and nighttime lows around 11°C. Finish up your sightseeing early on the 13th (Tue) so you can go by car to Galway. Kick off your visit on the 14th (Wed): take in the awesome beauty at Hillwalk Tours and then surround yourself with nature on a nature and wildlife tour. 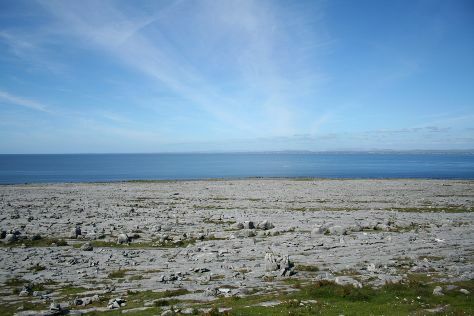 Here are some ideas for day two: explore the striking landscape at The Burren. To find where to stay, traveler tips, more things to do, and tourist information, read Galway travel planner. You can drive from Dublin to Galway in 2.5 hours. Other options are to take a train; or take a bus. In September, daytime highs in Galway are 20°C, while nighttime lows are 13°C. Wrap up your sightseeing on the 15th (Thu) early enough to drive to Cork. On the 16th (Fri), examine the collection at Cobh Heritage Centre, examine the collection at Titanic Experience Cobh, and then contemplate in the serene atmosphere at Cobh Cathedral. 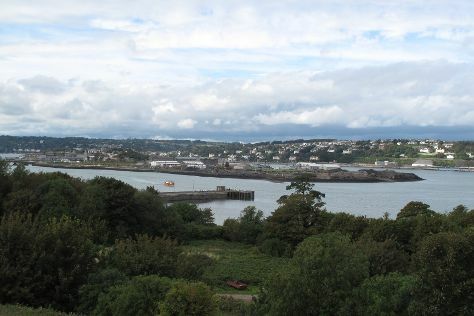 On your second day here, gain insight at University College Cork (UCC), appreciate the extensive heritage of Ballycotton Cliff Walk, and then step off the mainland to explore Spike Island. For photos, where to stay, more things to do, and tourist information, you can read our Cork trip itinerary maker. You can drive from Galway to Cork in 2.5 hours. Another option is to take a bus. In September, daily temperatures in Cork can reach 19°C, while at night they dip to 11°C. Cap off your sightseeing on the 17th (Sat) early enough to go by car to Kinsale. Located at the estuary of the Brandon River, the historical fishing town of Kinsale nestles against hills that act as a natural shield against the open sea. Kick off your visit on the 18th (Sun): steep yourself in history at Charles Fort, take in the exciting artwork at Kinsale Pottery and Arts Centre, then take in nature's colorful creations at Ringfinnan Garden of Remembrance, then look for gifts at Kinsale Crystal, and finally stop by Aunty Nellies Sweet Shop. For other places to visit, photos, more things to do, and tourist information, use the Kinsale tour planner. Kinsale is just a stone's throw from Cork. In September, daytime highs in Kinsale are 19°C, while nighttime lows are 11°C.